While it is visiting into the market or to see the Hadimba devi temple in Kullu Manali. Kulu Manali is the replete of adventures and fun. Kullu Manali Tour Packages are cheaper packages in the perspective of money, but in the perspective of adventure and fun it is a great place to watch out. In this package you can see the Rohatang Pass which is of the of 3,978 meters and the snow covered area of 3 km. In this package we also provided dessert and Beas river to watch out and take the feeling of cold. This hill station is the best of summer and winter off course Kullu Manali is not fully fill if you are not going to the Buddhist monasteries. There is also an adventure of the river flow on Beas river. Kullu Manali package is not only for the family, but also for the couples. Your best memories you can capture in your life as well as in your camera. There are many adventures and fun performed by you if you were in the month of January to March you can watch the 27 km slopped off rohilla, and the many more activities done by you is trekking etc. Mainly mentioned thing in the Kullu Manali package is food and the facilities which is provided by hotel for you. The newly couple have also destination to come here for their honeymoon and take all the fantastic and good memories with them. So, This hill station is the best hill station in the perspective of the package and adventure. In this package you have gone to feel both adventure and relaxation. Note: Prices for the above package & Tour itinerary are subject to change. 3 nights hotel accommodation on twin sharing basis. 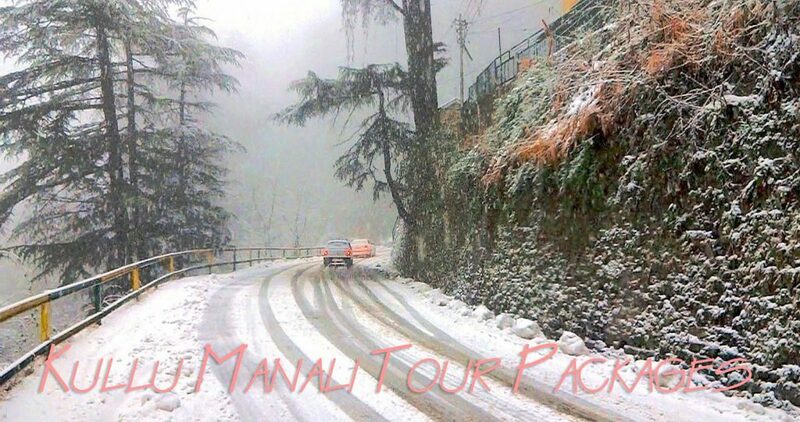 Kullu Manali all sightseeing tour. Complimentary one of mineral water bottle. Free use of wi-fi and gym. All hotel taxes (service tax extra). Personal expenses such as mineral water, any drinks, water adventurous activities and all entrances fees to monuments. Railway Station / Airports pickup and drop service. Additional sightseeing or extra transportation service. Manali is the one of the wonderful place of India that is settled in the state of Himachal Pradesh. The place is having its name on very high that everyone knows about this place very well. The place is having some different environmental changes that one can never find on the other place. Manali is popular for its beautiful and attractive places that a tourist can easily spend their valuable time. One can come to visit this superb place with their friends and family. One of the beautiful places is Bhrigu Lake that is enclosed with the snow and ice. This lake is situated on the hill station that makes it beautiful. Maximum tourist wants to visit this place during the time of activity because here no transportation is allowed. It is the snow area where you can cover this place with the mountains climbing or skating. This lake is having a circular shape and full of beauty in the surroundings. Here you can enjoy your full day with your accompanying. This place also provides you luxurious apartment for your stay. These accommodations are full of facility where you don’t do anything. Kullu is also a beautiful place that you can explore during the time of Manali visit. Kullu and Manali are two beautiful destinations of Himachal Pradesh that offers beautiful destinations for the tourist. You can visit this place easily from the Kullu Manali tourism packages. Himachal is also a wonderful state that offers you all the transportation to make a tour.